This speaker system utilizes super high quality speaker drivers that have good frequency accuracy and phase coherence over the whole spectrum. Its precise and specially designed highly efficient crossover network allows them to work well with amplifier outputs as low as 8.5W (e.g. 300B single-ended) . Both drivers have a very high dynamic range . The tweeter is made with polydome with wide dispersion, super light weight dome diaphragm. 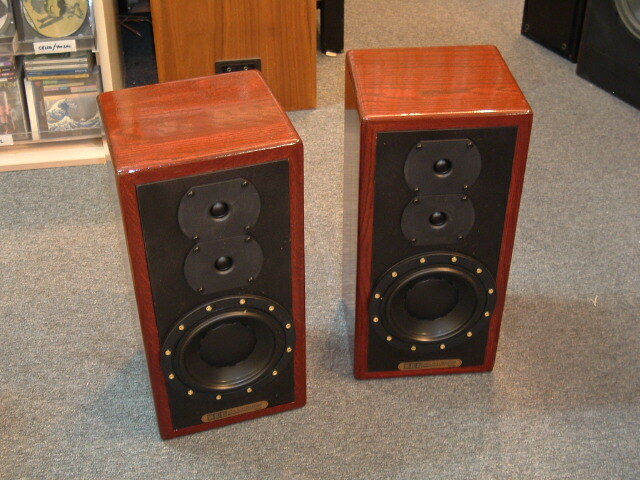 These speakers are matched for +/-2db accuracy between left and right. The woofers are made with poly cones and super durable but soft rubber surrounds providing a very high dynamic range with no noticeable distortion. 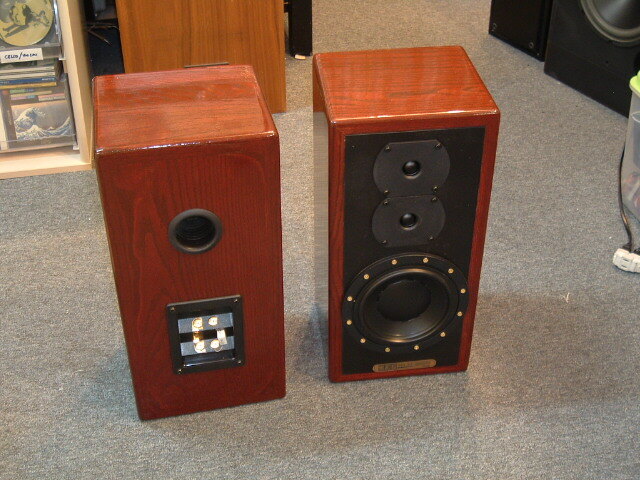 The Cabinets are made from 3/4-1" thick MDF/solid-oak to eliminate resonance even when driven to very high output levels.